With the Google Offers service you can find offers while you search on your browser and even store them on your profile to look them up whenever you want. 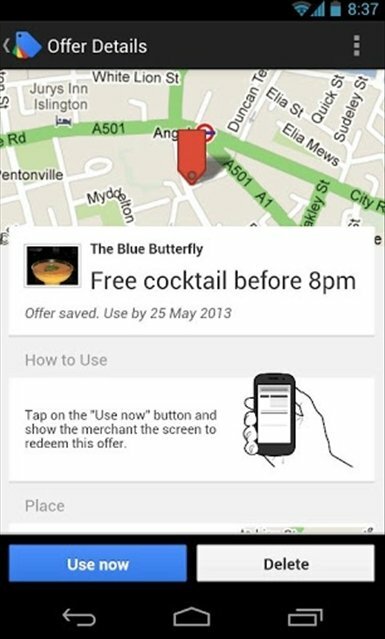 With Google Offers app for Android you will have all your favourite offers on your smartphone to use them whenever you need to. Get hold of discounts for nearby shops. 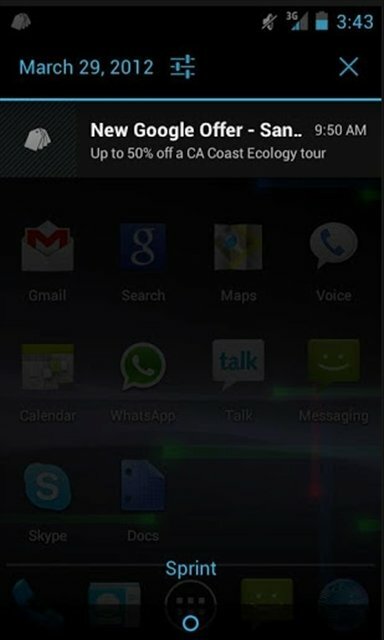 Google Offers is a service of customised offers and discount vouchers. By means of its search engine it shows you the most interesting offers depending on your location, which you will be able to easily store in your Google account. 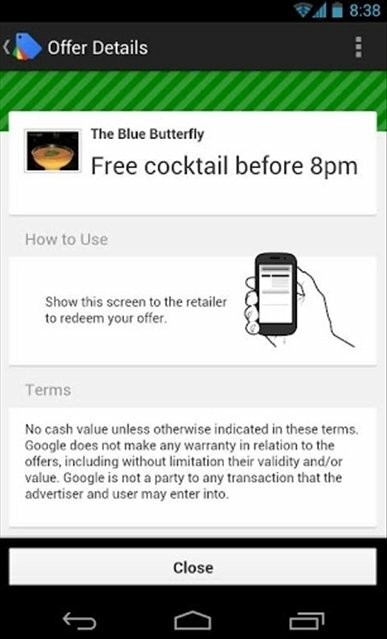 The version of Google Offers for smartphone allows you to receive reminders when you are nearby the store associated to the offer. Furthermore, you don't need to print out any vouchers, you only have to open the application in the shop and show the offer. 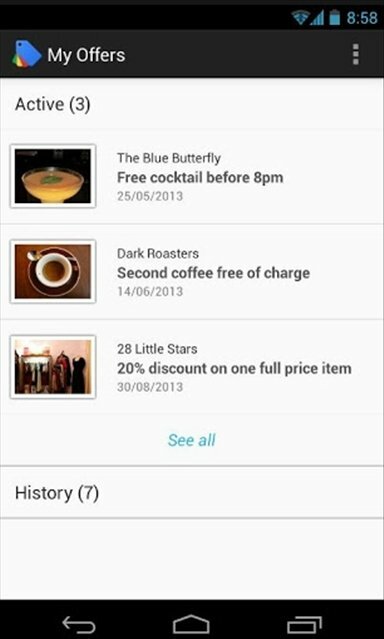 Download Google Offers free for Android and make the most of discounts for your local shops.